It’s birthday month here. Three of our four kids had their birthdays last week and the fourth is in a few weeks. 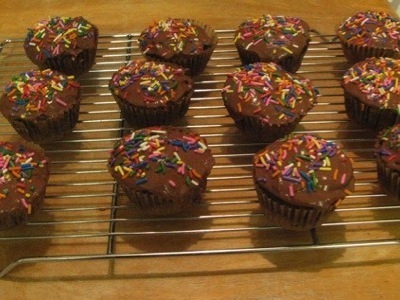 I let everyone pick what kind of cupcakes they’d like and bake them from scratch. These were the best, so I’m sharing the recipes. Enjoy!